The D-Tracker is the latest addition to Kawasaki's 2016 line-up, and is a machine that spells functionality. Small and lightweight, the D-Tracker can serve as the perfect replacement for your big-bore beast for daily commuting, but it can also represent a wonderful first bike for new riders. Taking a closer look at the 2016 D-Tracker, its supermoto DNA shines through and is probably the first thing you'll notice. Its long-travel suspensions can handle almost anything in the city and even in the suburban areas, while the standard 17-inch wheels are also a big-bike sign. The wire spoked rims are surely strong enough to tackle rougher roads, while their size will also make the bike steer easily and enhance the city-slicing ability. 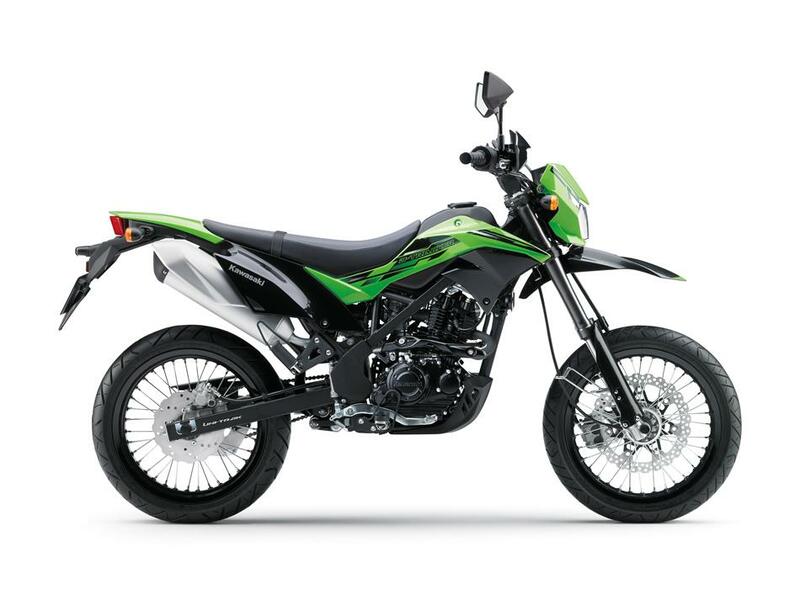 The tires are sporty, tarmac-oriented ones, so taking the 2016 Kawasaki D-Tracker to gravel pathways must be done with care. 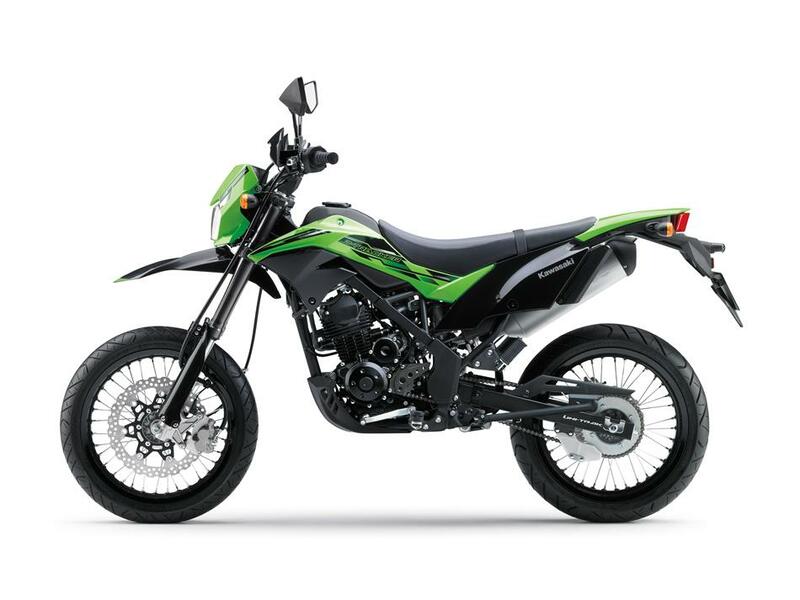 We like the way Kawasaki managed to blend in the supermotard and the motocross design cues. 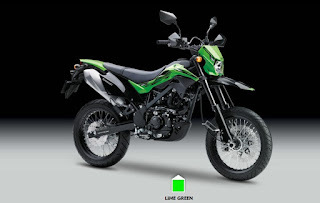 The D-Tracker looks very agile, and its 120 kg (265 lb) curb mass seems to confirm the bike's excellent flickability. The wide bars and the generous front rotor are also indicators about how nimble the 2016 Kawasaki D-Tracker is. Power comes from a 144cc liquid-cooled carbureted 4-stroke engine that can deliver 12 hp at 8,000 rpm and 11.3 Nm (8.3 lb-ft) of torque at 6,500 revs. 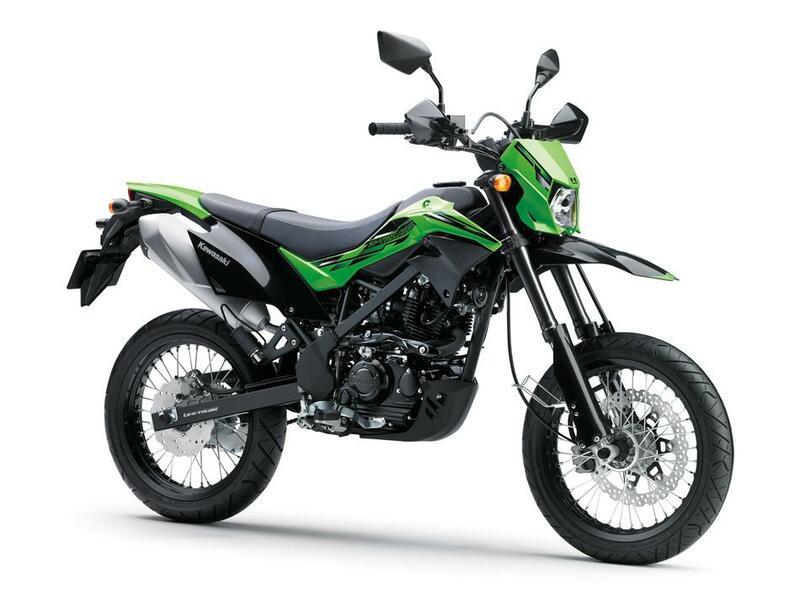 Kawasaki used a 5-speed transmission with a classic wet multi-plate clutch, and judging by the photos, the D-Tracker could use a larger rear sprocket to make its acceleration feel meaner. The tank can hold a rather modest 6.9 liters of fuel, but it might prove that it provides a decent range. Price and availability to follow soon.